If anyone doubts the value of a business degree, look no further than Nasdaq CEO Adena Testa Friedman. At nearly every step of her career, starting as an intern at Nasdaq after graduating with her Vanderbilt MBA in 1993, she has consistently drawn on the skills she honed in Management Hall. From working through real-world business cases in former Owen professor David Rados’ marketing class to learning about valuation models with Bill Christie, the Frances Hampton Currey Professor of Management in Finance, Friedman says her business education has played a vital role in her success. Yet, Friedman’s introduction to a graduate business degree came about almost by accident. The summer before her senior year at Williams College, the political science major assumed she was destined for a career on Capitol Hill and secured an internship at Al Gore’s Senate field office in Nashville. In part, she came to be with her boyfriend at the time (now husband), Michael Friedman, JD’93, who had just completed his first year at Vanderbilt Law School. Once she returned to Williams for her senior year, Friedman’s perspective had shifted dramatically. “I think I realized a few things,” she says. “I asked, what’s the first job you get out of college when you come and work on the Hill? It’s basically that you become a database entry person, at least back then. You’d take all those postcards and letters people would write and just enter them into databases all day long. That’s when she turned to the idea of business school. She applied only to Vanderbilt so that should could spend the next two years with Michael as he finished law school. “I was really lucky to get in because otherwise I wasn’t quite sure what I’d do after I graduated,” she says. From the beginning, Friedman was hooked on business school, joining numerous clubs focused on many of the same types of international topics she studied as an undergraduate. And with the small class size, she was able to get to know fellow classmates and faculty members. She also found the amount of group work to be surprising. “But the tools I learned while working in groups were extremely valuable and ones that I have applied to my career countless times over,” she says. Friedman also stood out to her business-school peers and professors. Maria Pugeda Connor, MBA’92, recalls meeting Friedman while working on a project for one of their marketing classes. The two soon discovered they both lived in the same apartment building (20th and Grand) and have been friends ever since. Most people who become product managers, however, oversee sales of consumer products like cereal or dish soap. That held no interest for Friedman. Instead, she took a cue from her father’s career at T. Rowe Price and started thinking about how to apply the skills she’d learned as a product manager to the financial services industry. When Friedman joined Nasdaq in the summer of 1993, at first as an intern, the company itself was in the midst of explosive growth that had transformed it from an automated quotation system used by a patchwork of broker-dealers to one of the world’s most dynamic financial exchanges. Despite the heady times, Friedman’s first boss pointed her to a sleepy corner of the business that involved marketing a handful of trading products for which Nasdaq had received SEC approval, though the company hadn’t done much with them. “We’d built up all these systems and different capabilities for clients, but we hadn’t really optimized them from a product perspective,” Friedman says. Friedman’s CEO predecessor, Robert Greifeld, was appointed in 2003, and one of his first priorities was to change the way Nasdaq set the closing price of shares. It was an important project that needed to be done correctly with as little disruption as possible for Nasdaq-listed companies, brokers and investors. Because data played a big role in the shift, Friedman volunteered to take on the task. 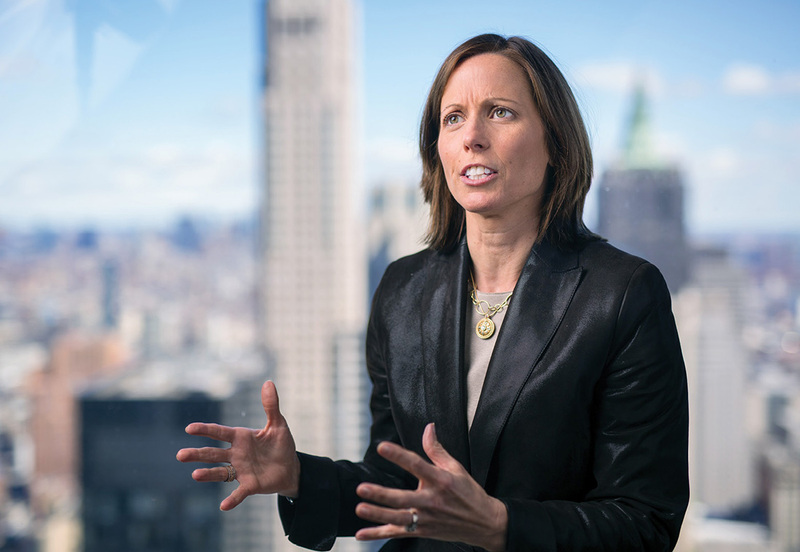 Recognizing her potential, Greifeld named Friedman head of Nasdaq’s corporate strategy in addition to her role leading the company’s data division. While many of her new responsibilities fit comfortably into Friedman’s wheelhouse, she also would now be in charge of acquiring other companies. For that, she had to brush up on the finance skills she had learned at Owen, which included modeling companies to determine a fair price range at which to buy them. “That was the big stretch for me,” Friedman says. But it also increased her exposure to Nasdaq’s financial and operational side, setting her up to take over as the company’s chief financial officer in 2009. Two years later global private equity giant The Carlyle Group snatched Friedman away from Nasdaq to become its CFO. 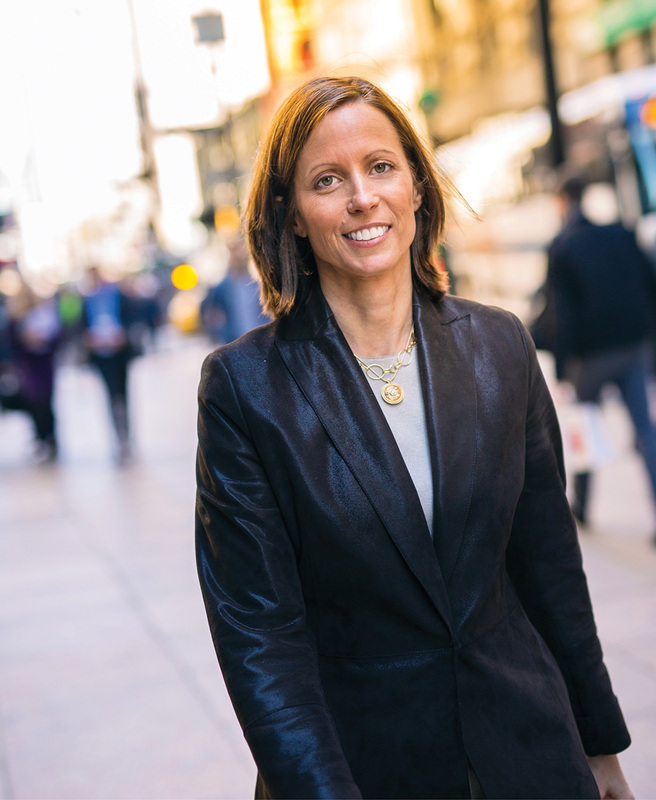 She then returned to Nasdaq as president in 2014, establishing her path to become CEO. 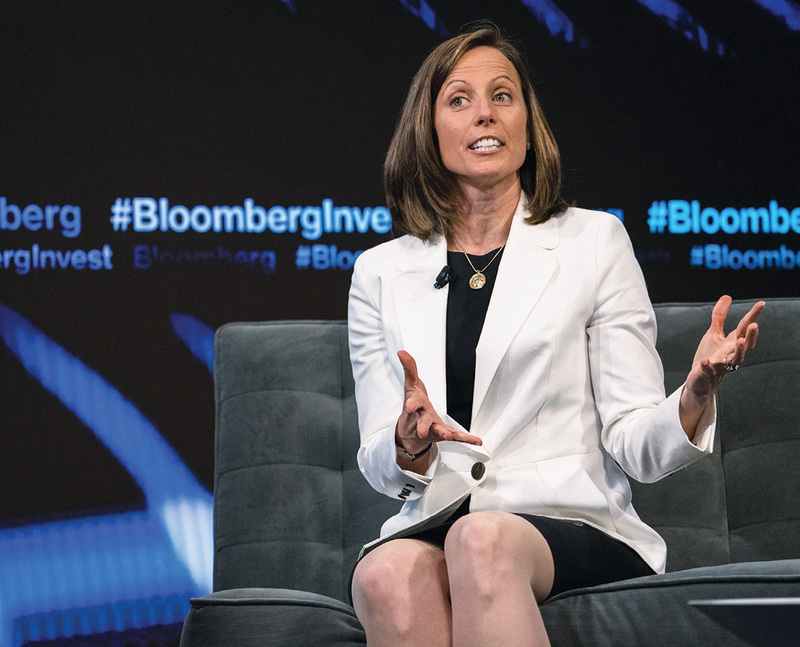 Now that she’s running Nasdaq, which has become a publicly traded company itself, listing more than 3,500 companies on its exchanges around the world, Friedman wants to build upon the company’s roots as a technology innovator, exploring ways to improve how capital markets function for all the players involved. The key to doing that lies in its products. Friedman says she sees four interrelated technologies that will reshape markets and financial services going forward. The first is the continued rise of cloud computing, giving organizations the ability to access computing power and storage on demand. That in turn will help facilitate the second major wave she sees coming: machine intelligence. “I think it changes the way people make investment decisions, how they access the markets, and it allows us to give our clients much more sophisticated capabilities,” Friedman says. Layered onto both of these areas will be quantum computing, which is poised to offer market participants unprecedented processing capacity to model various business outcomes in real time, leading to quicker and more advanced decision-making. The fourth area that likely will have a significant impact on the financial services industry lies with the blockchain. This is a robust record-keeping system—a secure digital ledger, essentially—that is best known for powering the cryptocurrency Bitcoin. While Bitcoin itself doesn’t enjoy a pristine reputation, blockchain technology is already being explored and used by industries ranging from health care to banking. “Many of the biggest payment-processing firms and banks are creating this concept of a digital currency that allows for them to transfer cash, create digital cash, and then transfer that money through a new mechanism,” Friedman explains. When that same technology is applied to recording market transactions, she says, it could streamline many back-office functions. As futuristic as Friedman may sound at times, the premise underlying her plans for the company really harken back in some ways to the four P’s she learned in business school. In other words, she looks at Nasdaq as she has since the time she graduated from Vanderbilt—as a products company. Nasdaq CEO Adena Testa Friedman delivered the keynote address at the Owen Graduate School of Management’s Commencement on May 12. In her speech, she outlined five lessons she hoped graduates would take with them. 1. Play well with others. Great teamwork comes from having hired great team members. As you might imagine, I am responsible for hiring a lot of people at Nasdaq, and I find that a person’s résumé is only a very small piece of the puzzle that defines a person and whether they are a fit for our company. 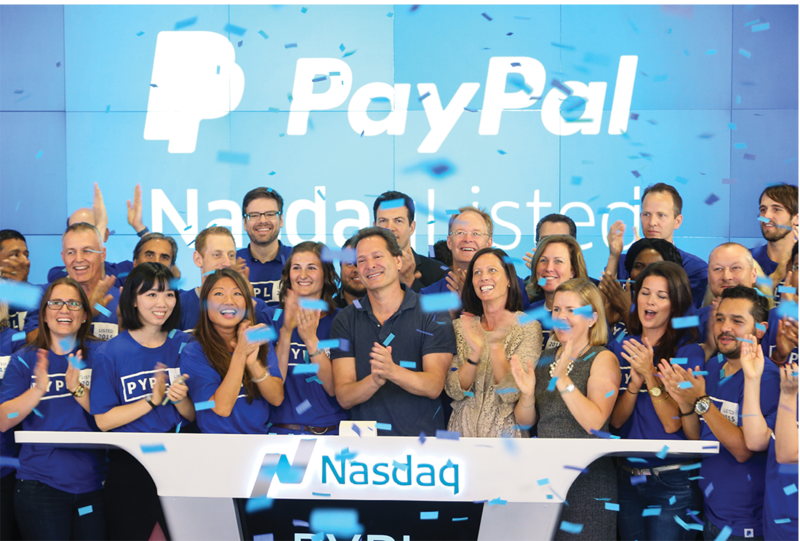 … The differentiator in whether or not they end up at Nasdaq is what kind of person they are. Are they a lone wolf or a collaborator? Are they myopic or empathetic? Do they talk about “I” or “we”? 2. Ideas are only as good as your ability to communicate them. I can’t tell you how many careers I’ve seen fail to reach their promise because someone with great talent simply can’t figure out how to convey their ideas and arguments clearly and concisely, whether in person or in writing. Whether you are in your very first job or the CEO of the company, take the time to think and articulate your points with precision. Some passion thrown in helps sometimes, too! 3. Always be listening and learning. No matter how successful your company is, you have to take great effort to avoid the trap of believing that what worked yesterday will necessarily work tomorrow. This is a big part of how we operate at Nasdaq. I wake up every day just a little paranoid that I haven’t asked the right questions or thought critically enough. … Never be afraid of saying “I don’t know,” but of course the next sentence should be “but I will find out.” And never be too proud to learn. 4. Be the optimist in the room. A true optimist sees the world for how it is and how it can be—and has conviction that we can and will work our way to a better day. An optimist can see a future of opportunity rather than get bogged down by the challenges. An optimist tends to look forward rather than get stuck looking in the rearview mirror. 5. Be the brains, but also be the boots. I admit to being a bit concerned that we’re moving into a culture that values ideas too much and execution too little. Don’t get me wrong: Big ideas have the power to move mountains. America became what it is because Benjamin Franklin was inspired in a lightning storm, Steve Jobs in his parents’ garage, and Mark Zuckerberg in his Harvard dorm room. But for each of these visionaries, the idea was just the tip of the iceberg. Countless great ideas have died on the vine because of lack of focus on execution.